Vacuodermie is a process of applying a vacuum to the skin through precise maneuvers utilizing different Vacuodermie plastic cup accessories to match the surface of the treated area. It stimulates the natural function of the body, improving the micro-circulation, helps reduce cellulite, tone the skin and lessen the appearance of fine lines and wrinkles. Vacuomobilization non-invasive technique provides a safe alternative to liposuction, increasing the resiliency of the connective tissue, for a firmer smoother skin. Stationary or sliding techniques are used to improve the micro-circulation and to stimulate the natural body function. 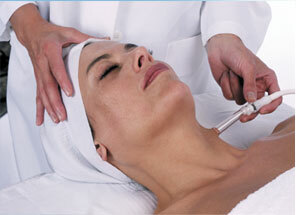 Pressotherapy enhances the venous return circulation improving oxygenation and elimination of toxic waste. The gentle pneumatic massage promotes extra fluid clearance and helps to control cellulite, slimming and refining of the legs and waist. A 20 minutes pressotherapy treatment is equivalent to walking 15 miles. Vacuodermie mechanical lymphatic drainage is performed on healthy skin to activate lymph circulation and to eliminate the waste product of cellular metabolism. It’s draining effect help to alleviate puffiness under the eyes and relieve congestion and blotchiness. Lymphatic drainage for the body.